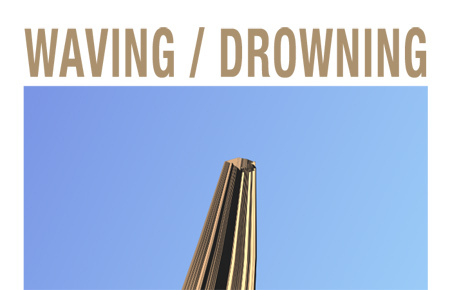 I am very pleased to announce my first solo exhibition, WAVING/DROWNING, brought to you by Artsite in Swindon, UK. This series of works in sculpture, interactive projection, archival digital prints explores the shape of the hand in a series of modern mystical symbols. Their meaning is uncertain, removed from their traditional context: are they waving at us, or flailing in a sea of lost meaning? The exhibition will run from 24 May to 29 May, 2010 from 11 AM until 4 PM. There will be an artists talk on Wednesday 26th May from 5PM until 7PM. All these events will be at The Post Modern, Theatre Square, Swindon, SN1 1QN. From 24 May to 29 May, 2010. Reception on Saturday, May 29. A very limited number of signed, high-quality exhibition catalogs will be available for purchase at the gallery and artist’s talk, with a limited number of smaller versions given away free to visitors, while they last. Please email info@pixelist.info if you are interested in purchasing prints of the works, or the works themselves.